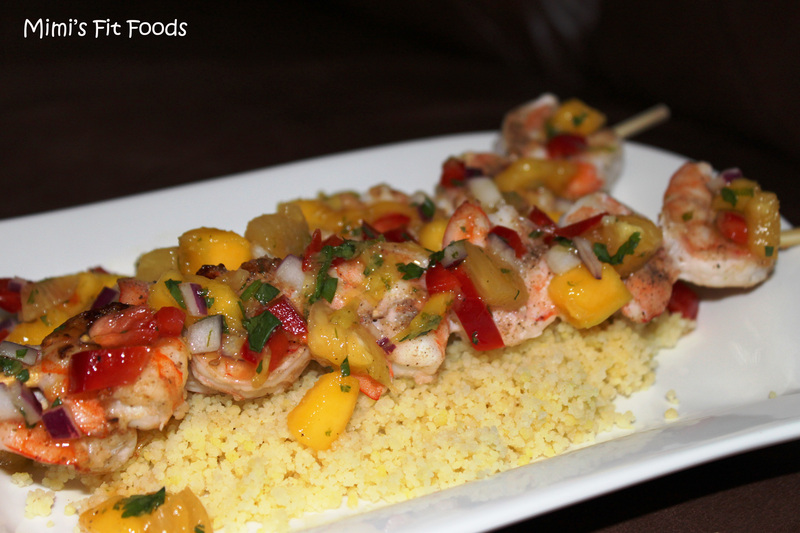 This Mango-Pineapple Salsa is soooo yummy! It can be used for several things (it’s great as an appetizer with baked chips), but I really love it with this shrimp. The salsa has that spicy-sweet flavor that tends to be irresistible to me. How about you? When I made it at home (with the pictures shown here), I actually used my indoor grill. If you’re not in the mood to grill or we’re in the colder months, you can also heat a small amount of canola oil in a nonstick skillet over medium-high heat and then cook the shrimp until they’re done. I love to serve this over couscous (as shown) or rice. For the Salsa: Combine the mango, pineapple, onion, bell pepper, jalapeno, cilantro, and lime juice in a bowl. Season with additional lime juice (if needed), salt, and pepper to taste. Let the salsa sit for at least 10 minutes before serving (can be made up to 24 hours in advance). For the shrimp: Preheat gas, charcoal, or indoor grill over medium heat. Combine the brown sugar, coriander, ginger, garlic powder, pepper, salt, and allspice in a bowl. Pat the shrimp dry with paper towels and sprinkle the spice mixture evenly over both sides of the shrimp. 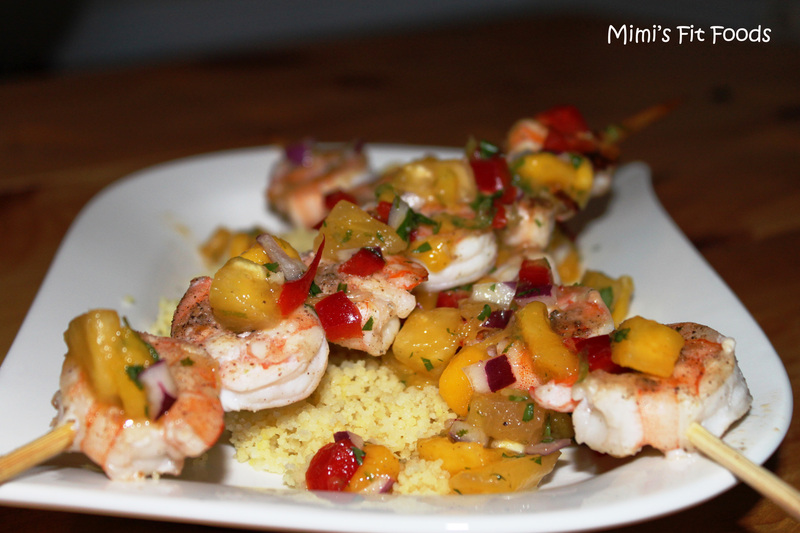 If desired, thread shrimp on skewers. Grill shrimp until pink and cooked through (about 2-3 minutes per side). Gently transfer the shrimp to individual plates and serve with the salsa.